Wonders of Greece & Aegean Legends with “IDYLLIC AEGEAN” Cruise: Every Monday from June 24th until Aug. 26st. Day 02. Corinth canal, Epidaurus, Nafplion, Mycenae / Olympia. After our breakfast we depart towards the Peloponnese. First stop will be at the impressive Corinth canal and we continue to Epidaurus with its theater, famous for its acoustics. Our day continues as we will be arriving in Nafplion for a short stop. Our next visit will be to Mycenae «rich in gold» as Homer mentions, with the Cyclopean walls, and the tomb of Agamemnon with the famous Lion’s Gate. In the afternoon, we will be crossing the mountains of the Peloponnese to arrive in Olympia for dinner and overnight. Day 03. Olympia / Delphi. Built on the banks of the River Alfios, Olympia is beautiful, green, and placid. We will enjoy a tour through the remains of the Ancient Olympia Complex (home of the original Olympic Games), including the Temple of Zeus, the Palaestra, and Phidias’s Workshop. We continue to the local museum, one of the richest in Greece, with the impressive statue of Hermes of Praxitelis. In the afternoon, we will start heading north, driving around Patras, over the impressive Rio-Antirio bridge, through Nafpaktos and Itea, to Delphi for dinner and overnight. Day 04. Delphi / Kalambaka. Delphi used to be the most sacred spot in the world and a pilgrimage center for many centuries in the antiquity. You will admire the Sanctuary of Apollo, walk the Sacred way, and visit the temple of Apollo, home of Pythia (the oracle). We continue to the local museum with the famous bronze statue of the Charioteer. In the afternoon we will be crossing the mountains of central Greece to arrive in Kalambaka for dinner and overnight. Day 05. Meteora / Athens. This morning we will be visiting Meteora. Amazing rock formations, like towers of sandstone, stand ageless, and have provided sacred retreat for monks over the centuries. A number of monasteries are hidden on top of Meteora. The view over the plain is breathtaking. Meteora is considered among the most beautiful areas of mainland Greece and belongs to Unesco's list of world heritage monuments. After our visit, we will take the road back to Athens. On the way, we will make a short stop at Thermopylae, to admire the statue of Leonidas king of Sparta. Overnight in Athens. Day 06. City tour / Athens. Day 07. At leisure / Athens. Day at leisure to explore more of Athens on your own, or follow an optional excursion to Cape Sounion. Day 08. 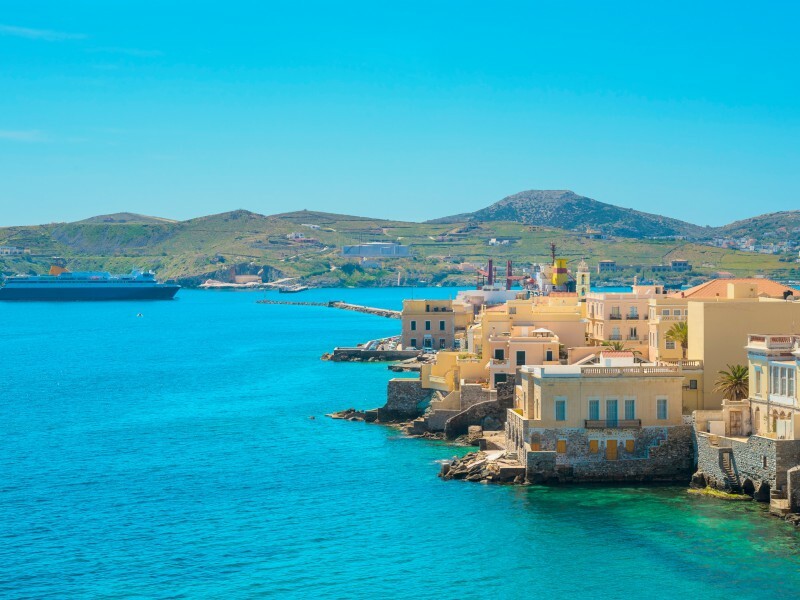 Athens – Syros / on cruise. Day 09. Cesme / on cruise. Day 10. Kalymnos / on cruise. Day 11. Ios – Santorini / on cruise. Day 12. Lavrion / Departure. Arrival at the port of Lavrion early in the morning. Breakfast on board. Disembarkation and transfer to the Athens airport or any other port of Athens. Apart from the transfer to the port or the airport, no other service is included in the final day of the trip. This is the end of our trip. Kindly, let us know if you need any extra travel services to arrange your return to your home country or, in order to continue your trip to any other destination. 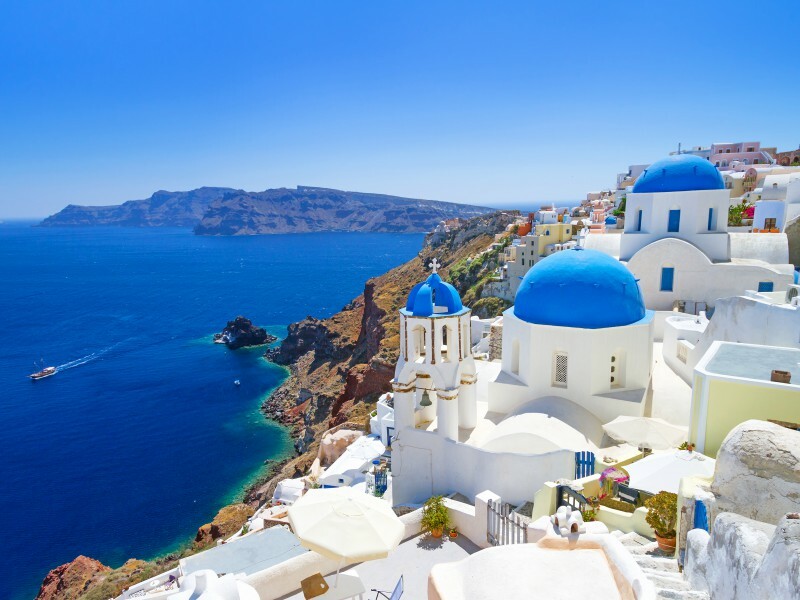 Explore the best of Greece in 5 days. 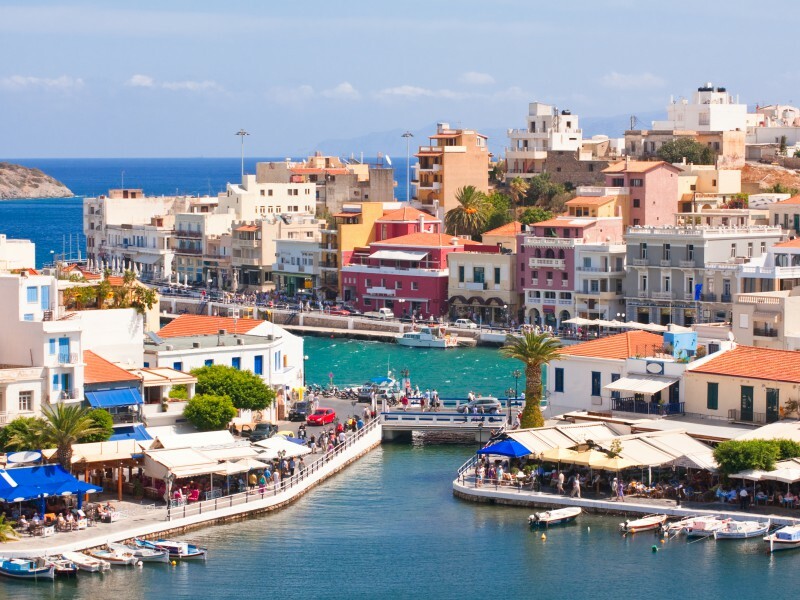 Travel to Athens and Crete. Explore Athens and then enjoy your time to the islands of Syros and Paros. Private tour of 4 to 6 hours in breathtaking Santorini. Visit Caldera, Akrotiri, Beaches, Traditional Villages . Test Famous Wines. For 1 to 8 travelers.